A high performance graphic design application. 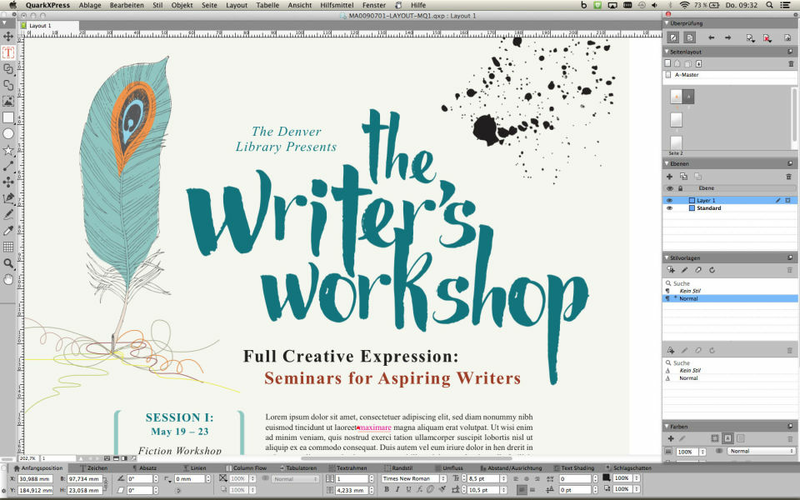 QuarkXpress is a multi-platform application used for graphic design and desktop publishing. This software provides enhanced user experience and has multi-language user interface to support global users. Along with this, it provides incredible performance as it is powered by Xenon Graphics Engine which makes image editing and processing faster. In addition, it offers you lifetime license and provides efficient customer support. It also has an orthogonal line tool that allows you to create 3D drawings effectively. In addition, it allows you to setup default tool preferences in order to create design quickly and easily. How much does QuarkXpress cost ? The pricing for QuarkXpress starts at $849.0. 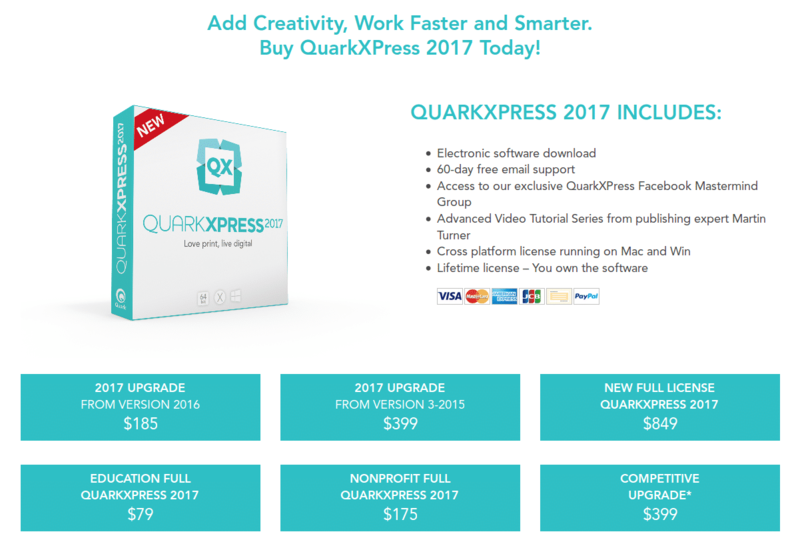 QuarkXpress has a single plan - QuarkXPress 2017 at $849.0. Please Contact the Vendor for the Detailed Information. The simplicity of the user interface. Which makes the program easy to use. Limitations that I encounter when exporting documents from the program such as issues that present themselves when applying certain design features such as gradients to a document. Great alternative to InDesign. You will need other photo editing software however. Different designs and layouts. 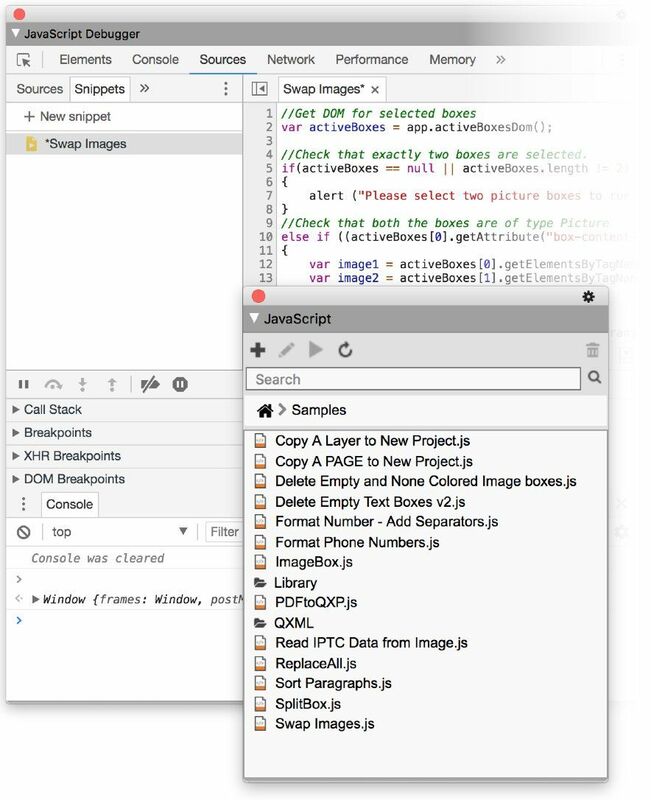 Quark is a great alternative to InDesign and works well at accomplishing what we need. "It'll be great once they get it working"
I like the automation features such as master pages and content variables. Edit once, update everywhere. If you decide to go this way, back up all your stuff. Skim the guide on their web site to make sure you catch all the cool features. Quark's flashing interface and constant crashing will make you pull your hair out, so consider working with a friend by your side so you don't feel like you're losing your mind.. Creating technical user manuals for food processing equipment. Automatic section and subsection titles at the top of the page are easy to create. Powerful tools for paragraph style sheets let us achieve a manual that looks up to par with industry standards. "QuarkXpress is still King of the layout software options"
Typography has always been easier to control in Quarkxpress. Also being able to import pdfs and vectors and editing them within Quark is a massive timesaver. I find I'm not jumping back and forth from Quark to Illustrator since the introduction of editing vectors within Quark, it's a massive timesaver. I generally find it more intuitive than Indesign (I also have to use Indesign as some of our bigger clients insist) and it's all round general performance is better and faster than Indesign. I personally wouldn't use anything else if I wasn't made to. The updater kicking you out of whatever app you are working in. The lack of background outputting/printing. I think that tables could still be improved and setting application default preferences has taken a big step backward for objects and type boxes although I can see why they have done what they have. Just need to be able to set runaround preferences in the default preferences pane. These are all small niggles though and general performance is greatly improved over previous versions. Sign up to the Facebook group for insider tips and help when support has run out. We personally find it speeds up our workflow compared to doing the same jobs in Indesign. We design all of our clients printed material in QuarkXpress unless told otherwise. 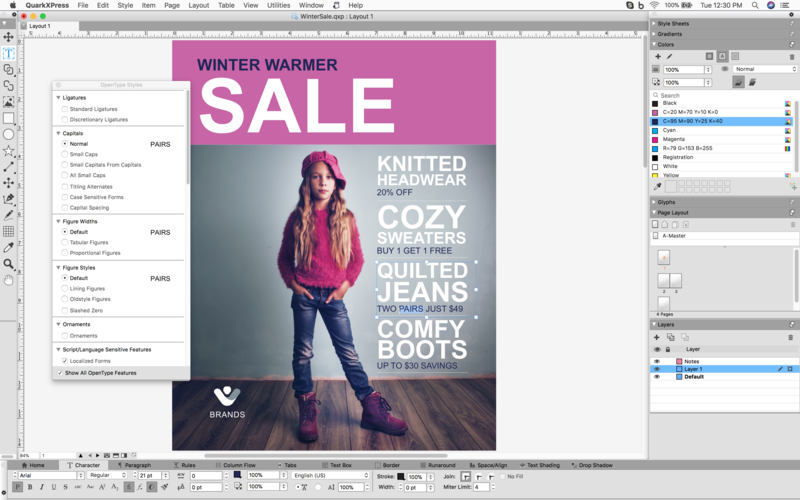 We're are currently learning the digital side of Quarkxpress. "Still using for legacy files"
Its familiar for me. short cuts are embeded in my flow, so its tough to switch to InDesign. They basically do the same things as a solo designer. Used it since its inception, but do to cost of the software and constant updates requiring new purchases, much more cost effective to use Adobe. 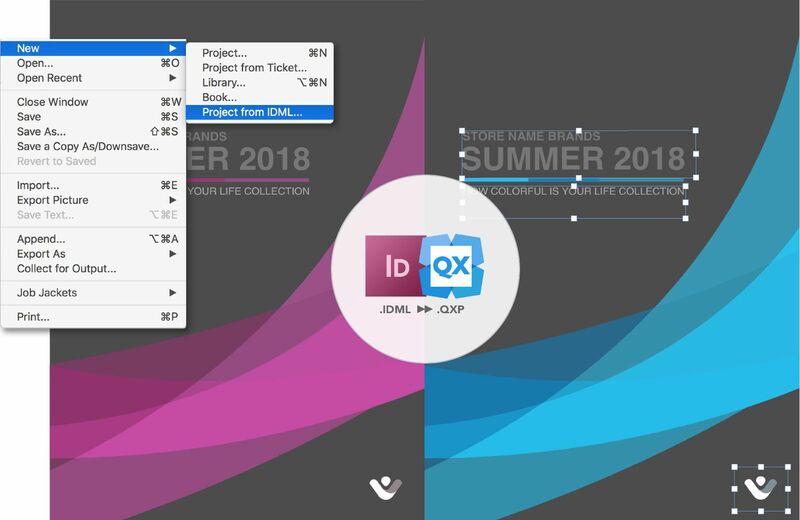 Most of the world is using InDesign these days, so if you work with outside sources for files or are required to edit others work, you might want to consider the alternative. Quarkexpress lets me design and layout print advertising for all sorts of media. Discovering Quark Xpress 2018 has been like opening a beautiful Pandora’s Box of hidden treasures. Transformative and revelatory in equal measure. Thank you Quark. The (now long forgotten) years of Quark losing its former No 1 position to competitors. But now it's back, it's beautiful and it's intuitively refreshing. Forget the old clichés about Quark being slow at responding to design trends. It may have been true once, but the company shows a refreshing attitude these days that is re-orienting its market leadership. A seamless integration of multi-platform media, with the power of content automation, that allows much more advanced and logical solutions to a host of design problems. The benefits come in terms of time saved, and thoughts focused, for everyone on a team with responsibility for the productivity and effectiveness of the chosen route/s of communication. Overall: My output doubled with QuarkXPress. Easy to navigate, allowed me to be more creative without having to worry about USING the tool. I just did, and let the creativity flow. Pros: Since I first used this software in college (which was more than a while ago) although it has changed and evolved in my opinion it has never stopped being the best layout creation tool there is. I've used it over the years professionally across all kinds of projects and niches and even personally to create materials for the kids' soccer teams etc. And customer service always has been truly top notch, something that is increasingly rare these days. Cons: The newer Adobe integrations can be annoying and for my purposes not that helpful. Yes, there are days when I wish it had never happened but not to the point that I will actively go looking for something else as an alternative. Pros: Was a great tool for designing flyers for my business. Cons: I found it difficult to navigate the interface. Overall: Becoming efficient with any design software takes practice. For the small amount of time I used this tool it served it purpose well. Pros: The best part of the QuarkXPress is the variety of different functions that will allow user to work on either small of big scale publishing project. I used it for 4 page marketing booklets and over hundred pages product catalogues. Love it. Cons: You have to wait before it will run, the software is huge. Which is the best graphic design software in terms of performance? 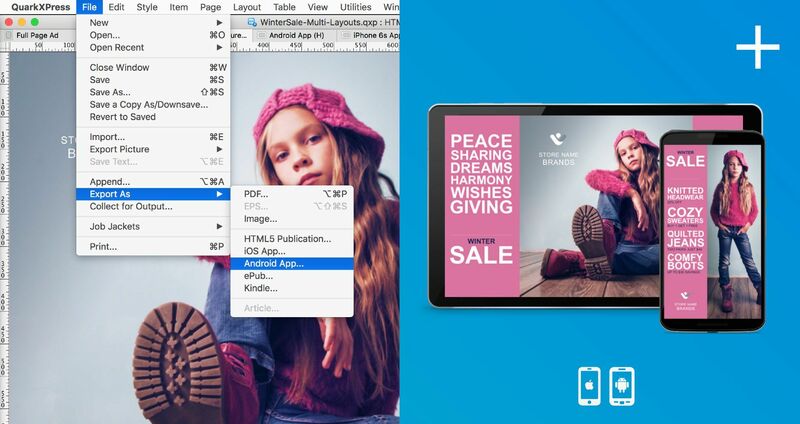 QuarkXpress is the best software that provides high performance as it is powered by Xenon Graphics Engine.